As 2013 comes to a close, it is time to pause, reflecting on and giving thanks for what is good in our lives. 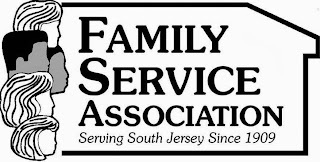 We at Family Service Association are deeply grateful for our community’s support during the Holiday Drive and throughout the year. Together, we brought joy to over 2,500 children, youth and vulnerable adults this Holiday Season. Family Service Association has a many programs and services with a single focus, to strengthen individuals and families, one life at a time. In 2013, we touched over 8,500 lives in the past year, helping children, youth, individuals and families find hope and healing in our different programs. We look forward to reaching so many more in 2014. On behalf of FSA’s Board of Trustees and all of our team members, we wish you a New Year filled with peace and joy.